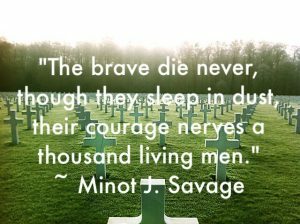 Memorial Day: The fallen, but not forgotten. Today we honor the fallen and their loved ones for the sacrifice they made for our freedom. Thank you. We have a popular print of a man standing at the wall with his hand touching the wall in the home I grew up. In the picture’s reflection is the image of the lost buddies in the jungle. Perhaps you have seen this picture as well. I always thought that it was a powerful visual of the sacrifice our soldiers and their friends and family. It is the picture of the price of freedom. That memory of the print hanging in the basement of my parent’s house reminded me of a photo I took. I thought it was a perfect representation for what we are honoring today. The sacrifice our brothers and sisters who have fallen does not go unnoticed. 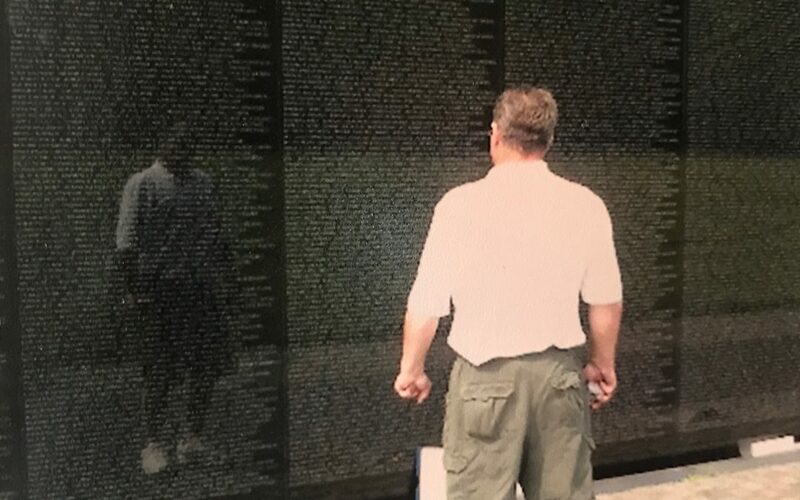 The photo I used in this post is of my dad, Dewayne Littlepage, at the Vietnam Memorial in Washington (2003). He was a former Marine who served in Vietnam War in the 1960’s. I do not know much about his experiences in Vietnam. He was not one to talk about the trauma he experienced during his tour of duty. However, I am aware that he lost many friends during that time. We visited Washington DC for the first time 14 years ago (almost to the date). My dad had never been to the The Wall, but had always wanted to. It was the first, and last visit to The Wall. He wanted to find the names of his lost friends, and pay them honor for their sacrifice. I remember it being a very emotional time for him, but also therapeutic. The Wall is magnificent and humbling. We took many photos at The Wall that day, but this one is my favorite. I did not realize until we had it printed that it emulated the print we have at home. My dad may not be touching the wall in the photo. His reflection may be the only one gazing back at him, but I know he felt the presence of the men he served with. Honoring them on The Wall was a lifelong dream of his. Today, there are 58,286 names on The Vietnam Memorial Wall. His name is not on the memorial, but the reflection of him in this photo was ironic because a piece of him never came back from Vietnam. A part of his spirit had died alongside the name of the men on that memorial wall. It was almost as if that reflection was the 18-year-old boy who never made it back. Today, on Memorial Day, our family says “Thank you” to the fallen and their families for their sacrifice. It is because of these heroes who serve (and have died) in our military that we have the freedoms we have today.